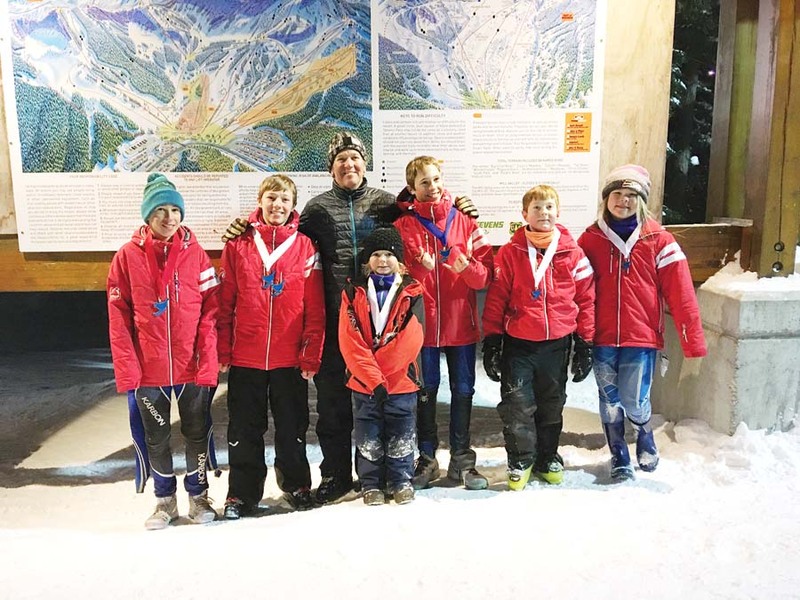 Competing for the Loup Loup alpine team at Stevens Pass were, left to right: Graham Sheley, Damon Alumbaugh, coach Bret Alumbaugh, Carter Sheley, Ella Gann, Josef Gann and Peyton Miller. The Loup Loup alpine skiing team was well-represented at last weekend’s Wild Katz race at Stevens Pass, where more than 200 skiers raced over two days. Bret Alumbaugh, team coach along with Ingrid Patterson, said racing conditions were perfect for both days. The Loup team’s U14 boys took first, second and third in Sunday’s giant slalom.